If you hear about something that I haven't added below, please drop me a line (use the Contact Us link above), give me the deets and I'll add it. As always, let me know if any gigs below are not happening or if I got something wrong. April is Jazz Appreciation Month, an effort of the Smithsonian Museum to "recognize and celebrate the extraordinary heritage and history of jazz for the entire month of April." There are special events around the nation for JAM ... maybe we'll get one together for next year's celebration? 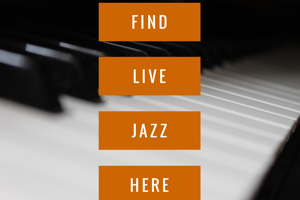 In the meantime, you can celebrate by getting out and hearing some live jazz in and around Rochester? Right?